Albertans cheered and jeered in front of the McDougall Centre in downtown Calgary on Thursday afternoon for a rally against Bill C-69 — a federal proposal to overhaul how energy projects are approved in this country. Around 200 people attended the event, hosted by the group Canada Action. The federal Liberals have been criticized by some industry experts and Premier Rachel Notley over the bill. There's concern C-69 could cause problems for an already weak energy industry in this province. Politicians from the provincial NDP, UCP and the federal Conservatives spoke at the event. Conspicuously absent were the federal Liberals. Organizers say they invited Calgary Centre MP Kent Hehr but he didn't respond. The crowd may not have been happy to see him though, as the Liberals faced repeated rhetorical attacks from the podium. 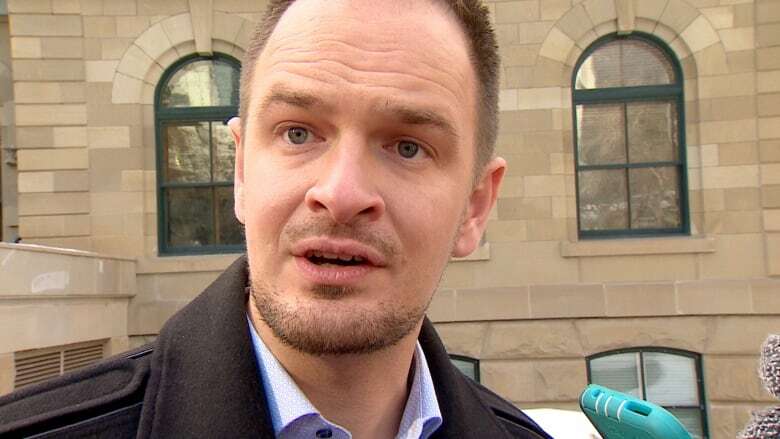 "The oil industry is very important to Albertans," said Service Alberta Minister Brian Malkinson, who represents the riding of Calgary Currie. "I think everyone in the crowd believes Bill C-69 is problematic to Alberta's oil industry, and our government has been clear, changes need to be made to it, that's why we're sending two of our cabinet ministers to Ottawa to speak specifically to the Senate for the changes Alberta needs to make sure this makes sense for Alberta's oil industry." Malkinson said Energy Minister Marg McCuaig-Boyd and Environment and Parks Minister Shannon Phillips are set to travel to Ottawa. He added the province is "absolutely not going to stop fighting for changes to this bill." "For Alberta's future, we can't have a climate leadership plan that [Prime Minister Justin] Trudeau wants unless we have a strong oil and gas industry," he said. Canada Action founder Cody Battershill says he hopes Thursday's event wasn't seen as partisan. "At the end of the day no matter who you vote for, the economy matters," he said. "And creating jobs matters. Global oil and gas demand is growing and we need to become more competitive to create jobs for our families rather than make things more difficult and that's what Bill C-69 will do." With files from Anis Heydari.